Such as: Turkey is the fourth largest Facebook country in the world, and tulip originated from this country. 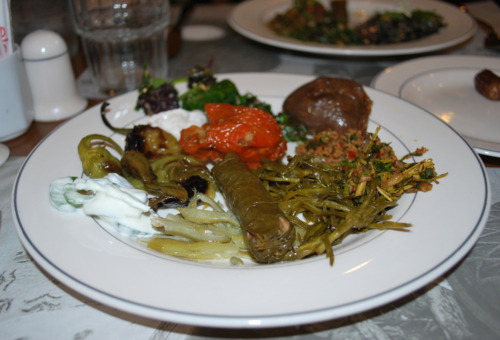 I also did not know about Turkish food. During the past four days, I’ve gone through a culinary fast course. And I am in love with tastes. 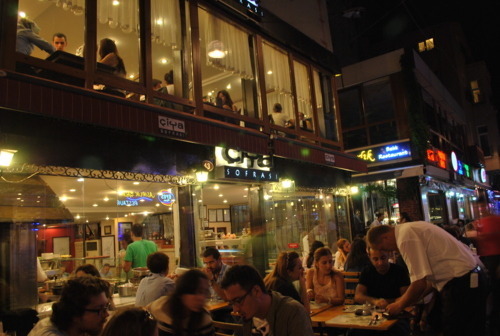 This restaurant, located in a busy alleyway in the Kadikoy area (Asia side), was small and crowded. There was no menu. 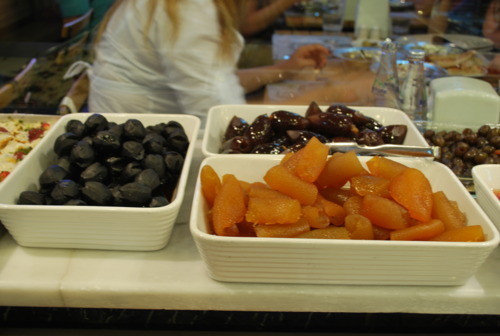 Food was displayed in the cafeteria style near the entrance. Most waiters did not speak English. So it took us a while to find out how to order. Appetizers were self-served and weighted by the plate. 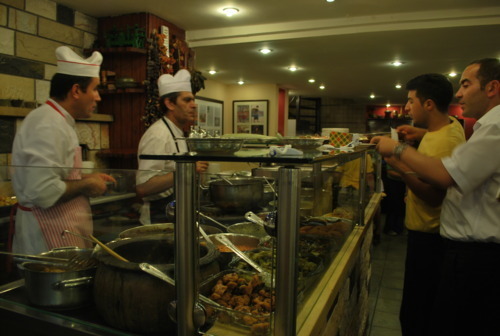 Main course can be chosen in half or full portion, and brought to the table after being ordered at the counter. The restaurant was buzzing with activities. Under the seemingly crazy business, guests were greeted, seated, attended to, and served. The food looked simple, but had flavors I had never tasted before. There was a pickled vegetable dish so unique that I could not recall anything tasted similar. I asked the waitress for the name. She was not sure. A few minutes later the manager came and explained the dish. It was made from a bush unique to the region, grown in soil irrigated by both fresh and salt water. I told him I was impressed by his knowledge. He simply said that understanding food was his job. I could feel this place was filled with such love for not fancy but just good food. I didn’t want to leave even after finishing everything on the table. Just as I was wondering what else to taste, I saw Lahmacun, a thin crust topped with minced meat, and knew I just got to have one. It did not disappoint. 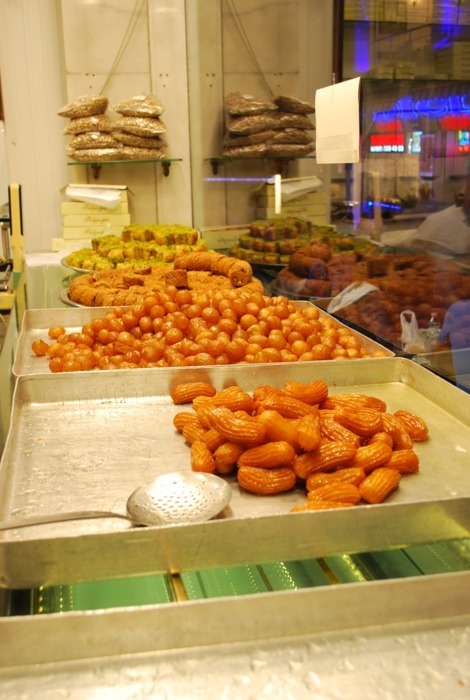 Coming out of the restaurant, we ran into a corner shop where Baklava glowed in warm light behind the glass window. Four pieces cost less than $3. Tasty, juicy, fresh, and deadly sweet ;). After the desert, my colleague and I walked toward the water front in the cool summer breeze. 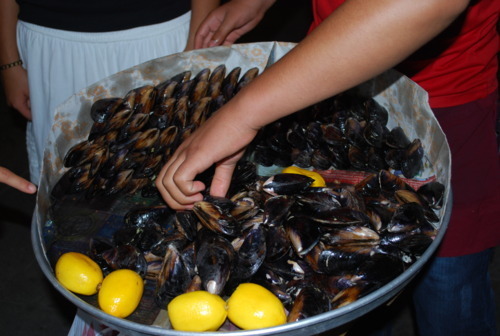 On the street, a few teenagers stood around a mussel stand, eating, talking and joking with the stand owner. The stand owner, a boy with a shy smile, noticed my curiosity and camera lens, handed me one mussel. 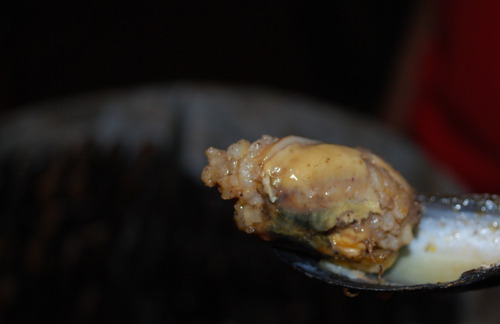 The mussel was stuffed with rice and spice, cooked in its own shell. I offered him one lira but he refused to take my money for just a single try. When I insisted, he gestured me to give the money to the teenagers, and went on handing me the biggest mussel he had. We told our first self-guided food experience to our local colleagues next day. They beamed with happiness in knowing we had really enjoyed their native taste.